* Professionally-produced “praise music” that expresses emotions, but contains little theology, that is, little articulation of sometimes-difficult religious truths. * A sermon that emphasizes how faith in God can make your life better, but does not mention the troubling idea that God is angry with sinners, and demands repentance and faith in Jesus in order for His wrath to be averted. * A liturgy (form of worship) that embodies current standards of popular decorum and entertainment rather than pointing people to a transcendent God. * Children’s programs that entertain (albeit in a quasi-Christian mode) rather than push the youth to learn challenging doctrines. Since the Reformation, Protestantism has fleshed out its doctrine and practices by following the secular Zeitgeist. In an individualistic, consumerist, liberal society, “seeker centered” spirituality is an expected Protestant mutation. It is interesting how homosexualists have coopted the rainbow and the word “pride” as symbols of their movement, much to the chagrin of rainbow enthusiasts and arrogant toffs everywhere. I wonder if the Episcopalian organizers of the event chose the music cynically, sort of like buppies who throw “chicken and watermelon parties.” Buppies like chicken and watermelon (who doesn’t? ), but they cannot allow themselves to confirm stereotypes without embarrassment to their fragile egos. So, they indulge in postmodern irony as cover. 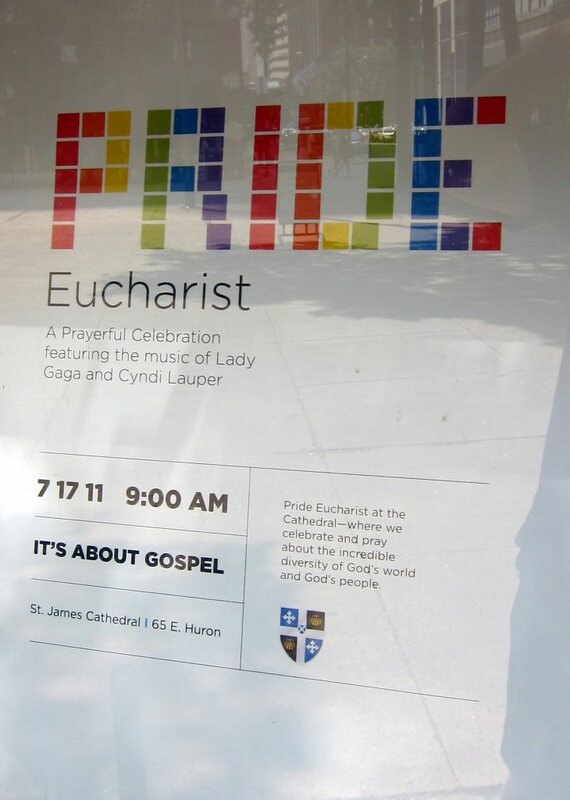 Perhaps, the fabulosity of “A Prayerful Celebration featuring the music of Lady Gaga and Cindi Lauper” justifies the event to God’s very diverse people, or perhaps the congregants at Saint James simply enjoy self-effacement when they commit sacrilege. The Orthodox Church in America (the “O.C.A.”) has had a rough spring. A short internet search will produce scores of pages and far more opinions on the topic. Indeed, the O.C.A. has dealt with many troubles over the last few decades, and its institutional woes has caused much grief to its faithful. I am not a member of the O.C.A., and I am not privy to the complexities of its ecclesial politics. I do hope that good order and good sense prevail. I suspect that the jurisdiction’s recent controversy reflects a deeper fissure in the character of the O.C.A. between the Orthodox commitment to tradition and the need to be “relevant” in modern, Western Christian society. Of course, all Orthodox Christians in the West must address this tension in our individual and communal lives, but the O.C.A. has made a conscious, ongoing effort to address the conflict. The dominant force in the O.C.A.‘s approach has been the thought of the so called Parisian school theologians, who taught or were educated at l’Institut de Théologie Orthodoxe Saint-Serge. These men of Russian émigré families who had settled in Paris after the revolution tried to synthesize their Orthodox heritage with Western philosophical and cultural trends amid the horror and confusion of the twentieth century. Many of these Russo-Franco churchmen moved to America after the Second World War, and they formed the intellectual tradition of the Metropolia, which became the O.C.A. I admire the intellectual and spiritual athletes who came from l’Institut Saint-Serge. There must have been something stirring in Gaul in the first half of the twentieth century; there was an impressive generation of Roman Catholic theologians and philosophers that emerged in France at the same time. They also wrestled with modernity and sought to understand the gospel and the treasures of Christian theology and philosophy in an age that was quickly becoming anti-Christian, anti-human, and anti-rational. Times of civilizational crisis tend to be great catalysts of the human spirit. So, let me repeat that I admire and appreciate the émigré theologians. Nonetheless, there is a strong Westernizing, modernist strain among many of them, and that modernism still flows in the religio-intellectual veins of the O.C.A. along with all the good qualities of the émigrés. No one typifies this dual tendency better than Fr. Alexander Schmemann. From my perspective, his writings are honey laced with strychnine. He is not unlike the thinkers at the Second Vatican Council who attempted to address similar problems of how to be a Christian in the modern West. In fact, he was present at the council as an observer. He obviously meant well, but he listened too much to the foolishness of the age. He remains a hero in the O.C.A., though I do not think that the culture there often recognizes the tensions in Schmemann’s writings. The émigrés’ heirs at Saint Vladimir’s Seminary seem to be occasionally blind to the contradictions between Orthodoxy and American life. For we Orthodox Christians in the modern West live the contradiction on a practical level, and it is therefore easy to forget that there is a contradiction on the theoretical level. It is our messy lot. 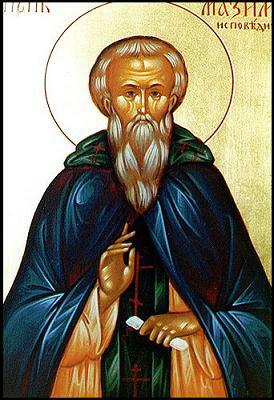 A good—one might even devilishly say iconic—example of this theological neurosis can be seen in Saint Vladimir’s Seminary’s twenty-second annual Fr. Alexander Schmemann Memorial Lecture from six years ago. Fr. Leonid Kishkovsky delivered what might be the essence of O.C.A. theology: “Orthodoxy Today: Tradition or Traditionalism?” Fr. Leonid’s points are not simply his musings; his arguments reflect an approach pervasive in the O.C.A., where even John Doevich the layman obsesses about the distinction between capital “T” and lower case “t” tradition. Such concerns accompany and perhaps promote the criticism of traditional Orthodox practices as glorifications of some past “golden age,” usually coupled with snarly remarks about nineteenth century Russia. These attitudes are remarkably predictable and consistent among a large section of folks in the O.C.A. I find Fr. Leonid’s arguments and the religious culture that they engender quite disturbing. The minimalism inherent in seeking to classify our inheritance into the essential and the non-essential betrays a Protestant mindset wholly unsuitable for decent, integrated Christian thinking. The hostile stance toward tradition, the arrogant belief in progress, and the quick dismissal of whatever is not immediately comprehended are all prominent character traits of the so called Enlightenment and its spiritual spawn. These attitudes are most perfectly embodied today by the political Left in Western societies. The modernist elements in the O.C.A. are less unruly, less obnoxious, less impious, and less consistent versions of this same orientation toward that which has been received. Yet, just because the disease is less advanced in a body does not mean that it is not still a disease. To treat an illness, however, requires one to know that he is sick. Perhaps, the recent turmoil in the O.C.A. may convince the body to seek treatment. You may also profit from reading Saint John Chrysostom’s related homily on marriage. May you have a happy life together, full of joy and good deeds!